10:42 | Lima, Nov. 17. 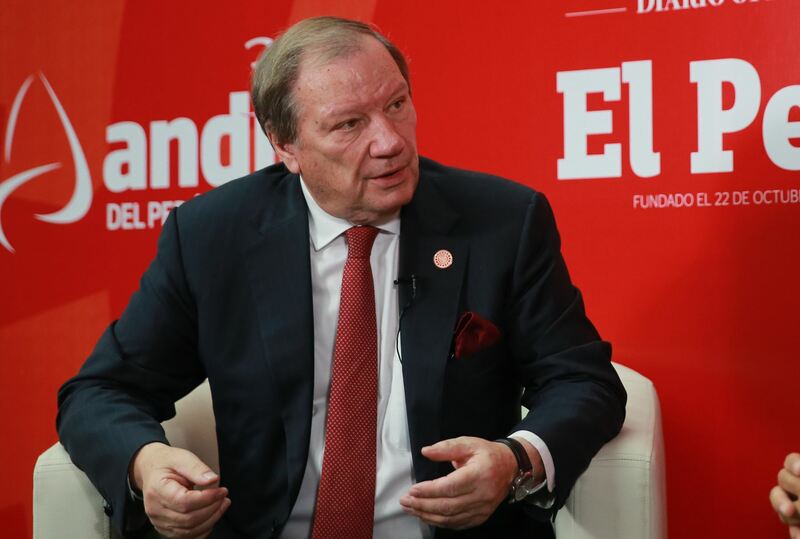 Peru has the potential to achieve the best economic performance in the APEC region, given its young population and natural resources, Pacific Economic Cooperation Council (PECC) Co-Chair Donald Campbell affirmed. "Overall, in the Asia-Pacific region, growth has been fairly slow. The most developed countries are less than 3%, 2%, 2.5%. You are better than that, but you need to be better than that, as a country that is coming up within the region," he said. As an emerging economy in APEC, Peru has a heavy reliance on commodities such as copper, which is currently rebounding. Likewise, the diplomat expressed his satisfaction over the country's progress in education, a critical area for economic growth. "I think you've got tremendous potential, because you've got a relatively young population, which evolves very well for the future," he highlighted. In this respect, Peru benefits from its younger population and increased education, as well as "significant natural resources." "Provided you embrace the new economy of services as well, your economy will be one of the best performers in the region," the Ambassador projected. On the other hand, the PECC official referred to concerns in the Asia-Pacific in light of global economic slowdown. In this sense, he described the region as a strong growth driver in the world. "In the survey that we did for the Pacific Economic Cooperation Council, the highest risk [...] was a slowdown in the Chinese economy. Another risk was the slowdown in the US economy," he said. Mr. Campbell also referred to trade slowdown. Trade used to double economic growth, but has now dropped to the same level, or even less. "The second factor that is a worrying trend is protectionism because, when growth slows down, countries tend to become more protective, put up more barriers rather than take down barriers, which is essential to all of our economic growth and to our prosperity,” he pointed out.